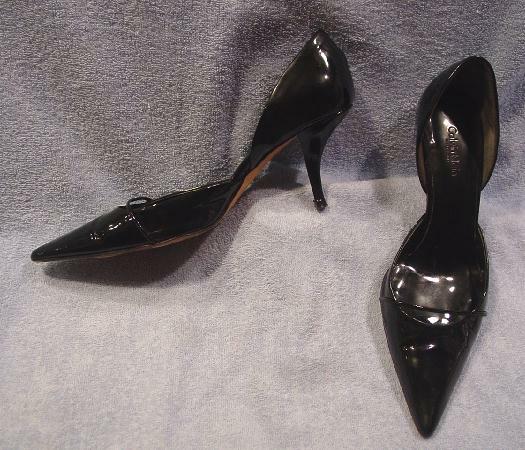 These pointed toe, open shank black patent pumps were made in Italy by Calvin Klein. 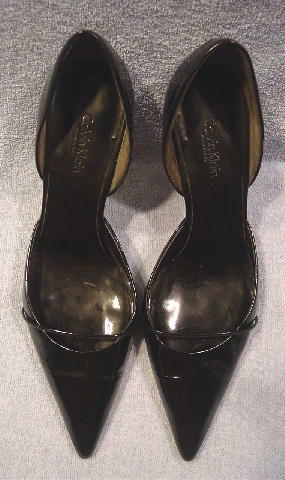 They have black leather linings and patent somewhat padded insoles. 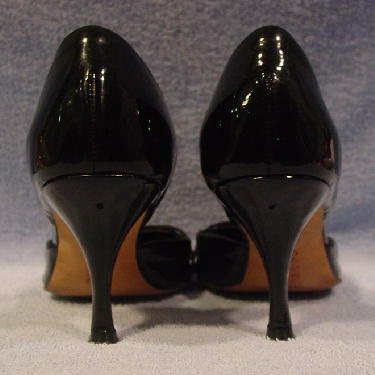 There is a thin patent horizontal accent strip and the patent goes all the way around the heels. The shoes have some light scuff marks and the vamps have wrinkles. The light marks on the shoes in the pictures are just reflections.